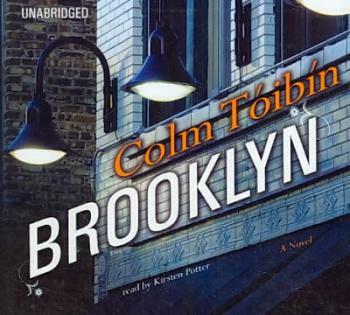 This book describes the first two years that a young girl, Eilis, from Ireland spends in Brooklyn when she emigrates to the US in the 1950s. On the face of it, it ought to be a rollicking ride: with a sudden departure, a rough passage, homesickness and loneliness, and all the trials of adapting to new people and a completely new way of life. However, Eilis is such a rational creature that most of the drama is reasoned out of the novel. For example, when homesickness hits, it nearly costs her her job in the department store which depends on her being a cheerful salesperson. When she realises the gravity of the situation, she simply says to herself, “Well, in which case I’d better not be homesick then”. With that, the whole issue is resolved and the story moves on. The novel starts to gather some oomph towards the end, when Eilis gets herself into a rather messy situation, caught between potential, and–in the way it’s told–not in fact hugely dissimilar futures in Brooklyn and in Enniscorthy. What I missed was more reflection on what each future could hold for a young girl in so different contexts as New York City and rural Ireland, especially as Eilis recognises that whatever decision she makes will hurt someone she loves. But instead, an external mechanism makes up Eilis’ mind for her. Indeed, that was perhaps the most interesting thing the novel had to say: that the options for a young woman in the 1950s, whether in a backwater or a big city, basically revolved around finding the right man and keeping house and family for him, even if she is clearly intelligent, self-disciplined and more than equipped to do other things. This is especially ironic as she has (more by chance then her own volition) got herself to Brooklyn where other options are more available to her than back home in rural Ireland. But Eilis is not a feisty feminist heroine, even though she has the potential to be one, and is perhaps turning into one as she matures. Is it then refreshing to read such a realistically young woman’s story? Maybe, but then it would have been interesting to hear more about the conflicts between her own inclinations and what the world around her expected of her. Instead we have a mildly frustrated conformist’s tale. After I read the book and wrote this review, I looked at some other reviews to see if I had missed something in this novel, as the author is so renowned. Here’s a link to a Guardian review which gives you a different take on the style. What I found uninteresting and plodding is apparently “a minimum of fuss and portentousness, using simple words and a precisely controlled tone”. Would love to hear a third opinion! I just watched the film of Brooklyn, and the story seems to work a little better. It doesn’t seem to follow the book closely, at least from what you describe. She is a bit more feisty but her choices, as you say, are between a man in Brooklyn and one in Ireland. One of the changes seems to be that she meets a guy on her trip back to Ireland when her sister dies, but she is already engaged to the guy in Brooklyn. She leads the Irish guy on and dumps him (gently) when she leaves for the US, all of which struck me as being completely out of character. Will read something else by him before making up my mind.